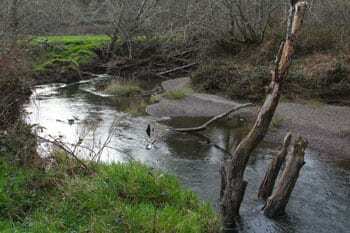 Prairie Creek Restoration and Public Access Project | California Trout, Inc. Establish the Save the Redwoods League’s property as a key focal location for visitors to Redwood National and State Parks (RNSP) to experience the restored lower Prairie Creek, critical habitat for coho salmon and steelhead, and the magnificence of old growth redwoods through a trail network and Gateway visitor center at the heart of RNSP. 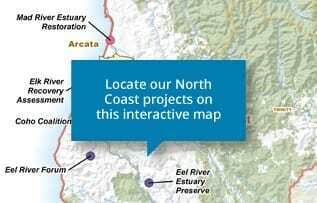 In partnership with the League, submitted grant proposals to continue designs for restoration and public access projects. Secure funding for restoration design and permitting and public access design and permitting.